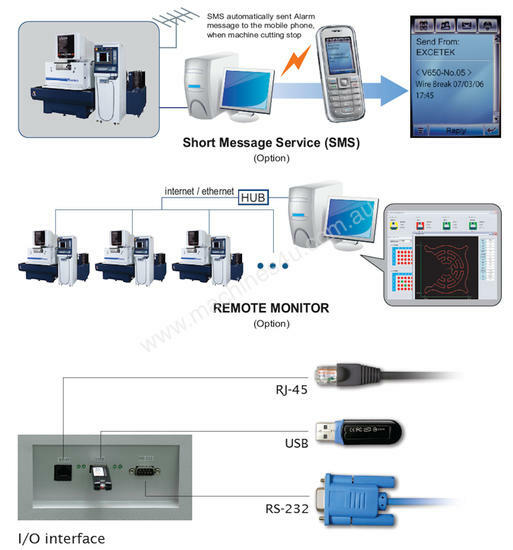 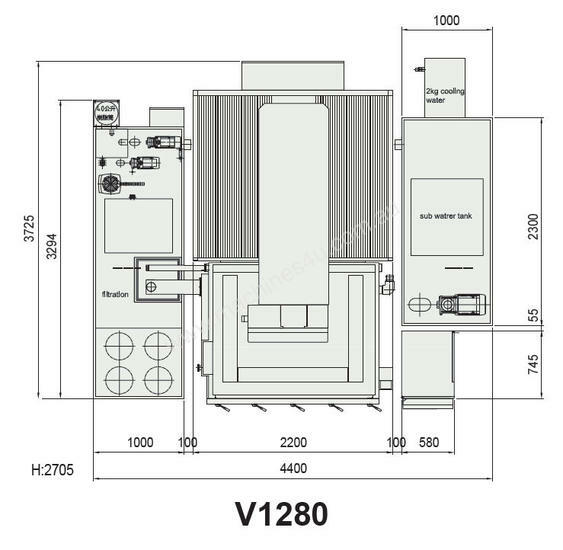 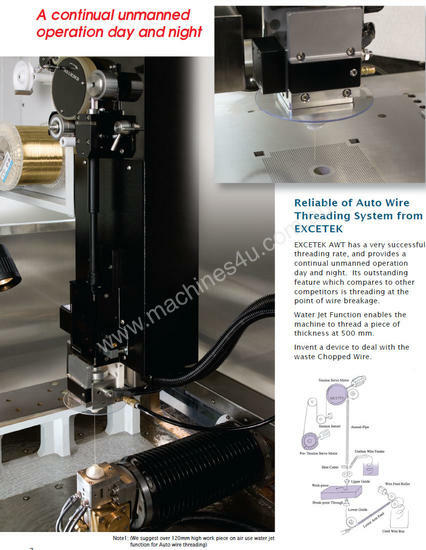 Optional W Axis (rotary axis) available! 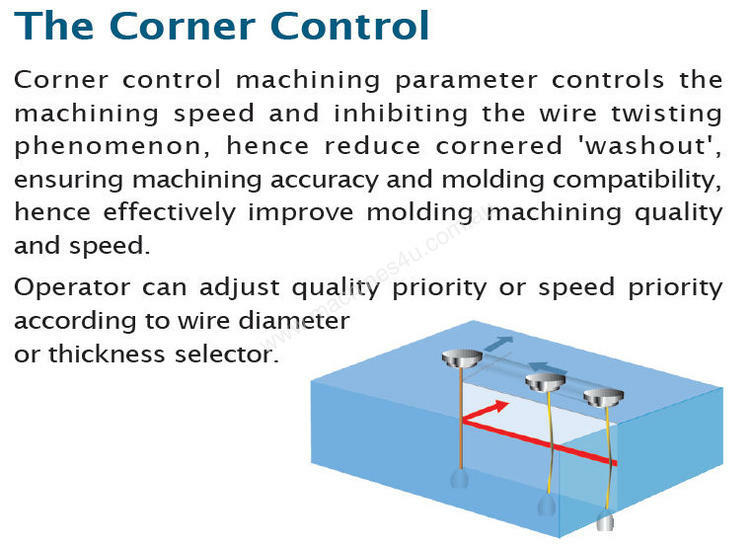 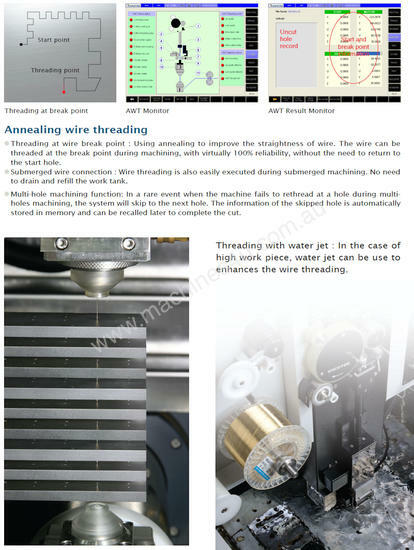 Standard Auto Wire Threading option with a threading time of approximately 10 seconds offers threading at the break point with almost 100% reliability, threading with water jet as well as threading under water. 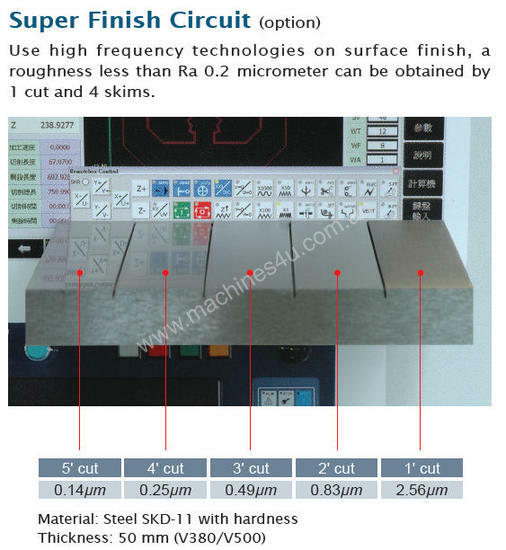 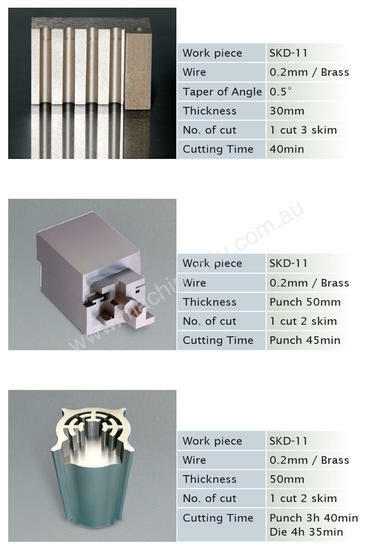 The Intelligent Ignition Circuit automatically adjusts the cutting speed depends on work piece material and thickness. 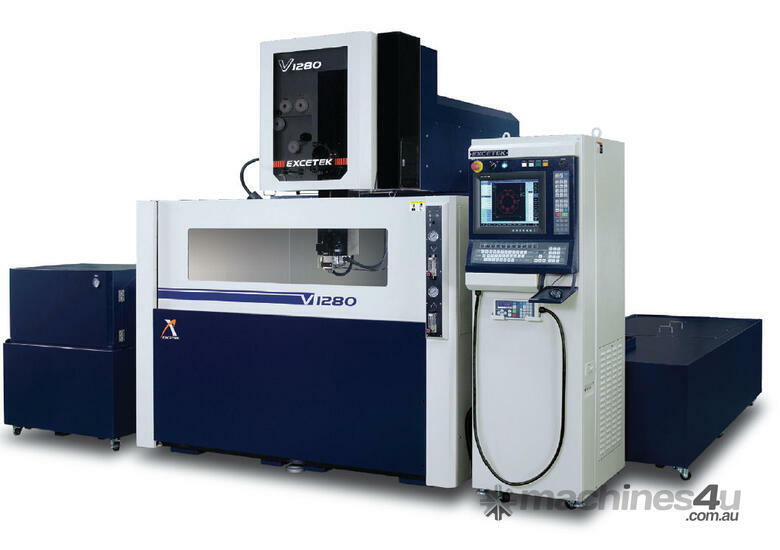 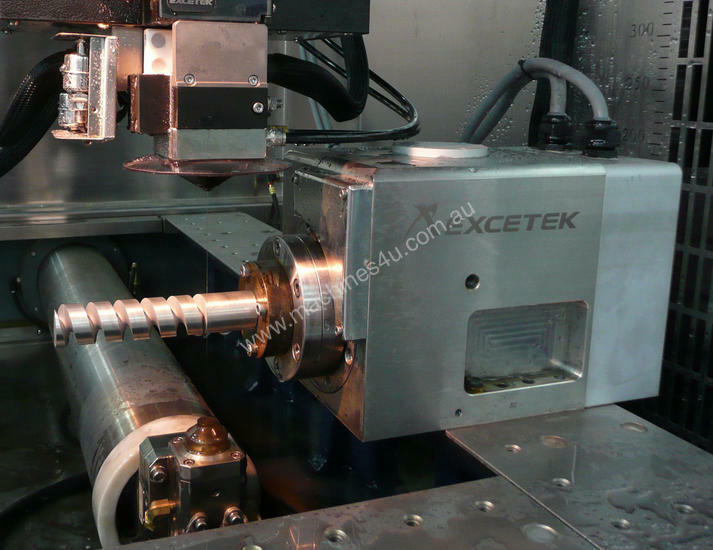 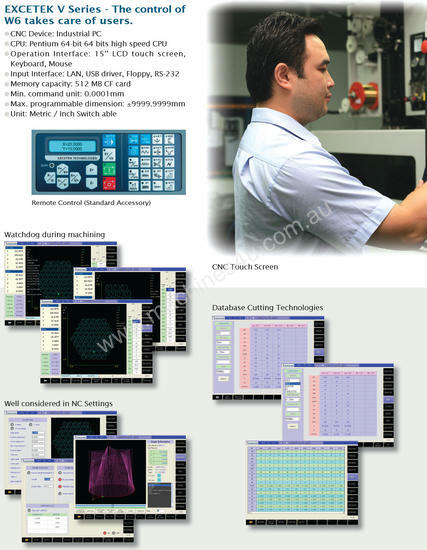 Excetek machines are 100% Taiwanese and from tests performed on machines installed cutting times are faster than much higher priced Japanese competitors!